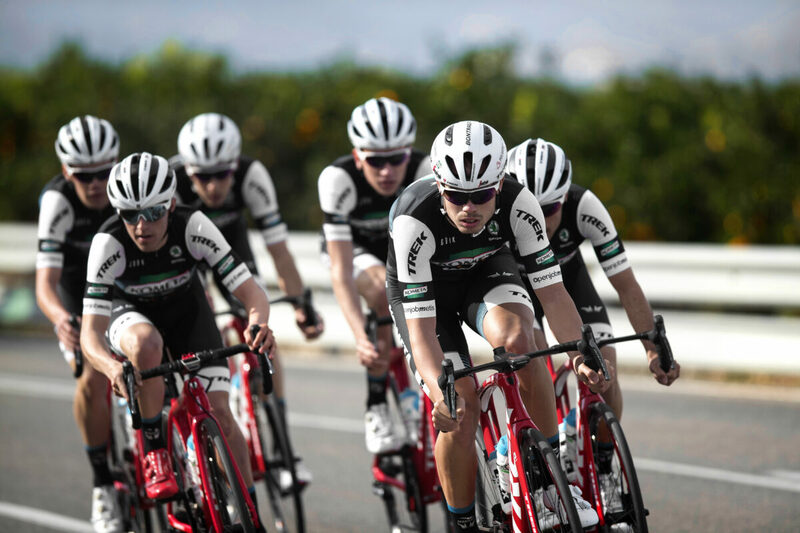 With a minimalist design of black body and white sleeves, the teams of the Fundación Alberto Contador will wear Gobik’s designs this 2019. 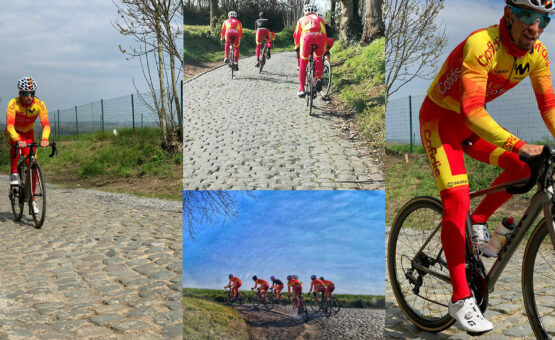 The continental, U23 and junior structures of the team will carry the Murcian signature halfway around the world. 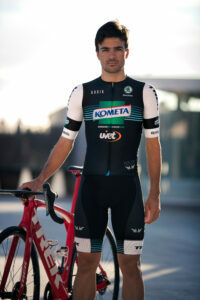 Thus, the cyclists integrated in the teams of the foundation will be able to wear the “Invincible” jersey next to the “Absolute” shorts in a set that will be in the main races of the calendar. The “Invincible” jersey is based on a combination of ultra-lightweight, highly elastic and breathable fabrics that favour airflow. The mesh fabric used in its extra-long sleeves has been made to tackle the wind more efficiently. Panels and seams reduced to the minimum expression that seeks lightness and aerodynamism. 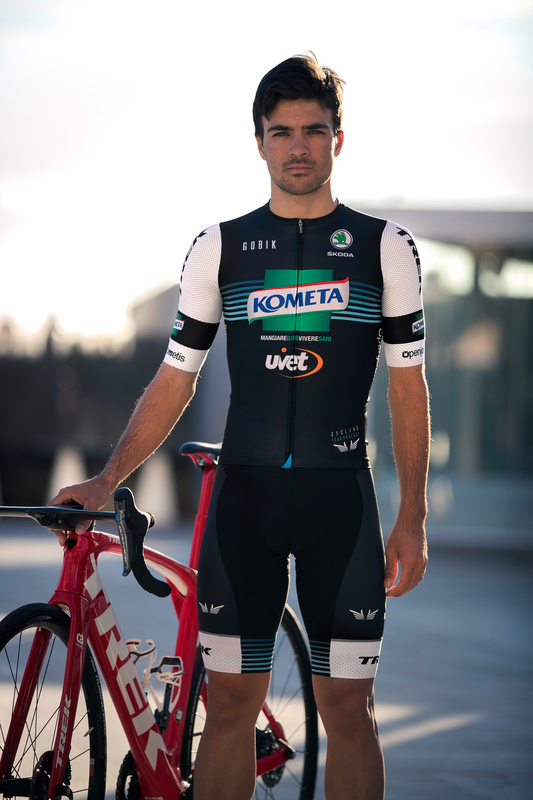 Below, the teams of the Fundación Alberto Contador will wear the “Absolute” bib shorts, a prow model of the brand that improves concepts such as compression with respect to previous versions. “In Kometa they have very clear and ambitious medium-term objectives, and that is a key point of connection for us” assures Alberto García, CEO of Gobik, who also admits the attractiveness of Italy, as an interesting market because it is the focus of activity for the Foundation’s teams. In turn, Fran Contador, manager of the Fundación Alberto Contador, admits common qualities between the teams and the brand: “The passion for what we see. At Gobik they show day by day that they enjoy what they do, they take care of the details to the extreme, they put a lot of passion into all their work and they also transmit it with high quality products with a lot of innovation and a very attractive aesthetics behind them”. And this aesthetic is reflected in a design in which, as has been said, the black predominates in the central section of the garment, with the marked geometric pattern usual in the Gobik: “That care of details is something we like very much and that fit perfectly with our project.  The truth is that we are very happy to have been able to reach this agreement with Gobik”. Fran Contador recognizes passion in Gobik’s designs, and that same passion explains why “Gobik is achieving incredible success so quickly. We had the opportunity to get to know each other a long time ago and that contact is the germ of this collaboration: they invited us to get to know their fabrics, Alberto had the opportunity to try out their garments and he ended up delighted”. 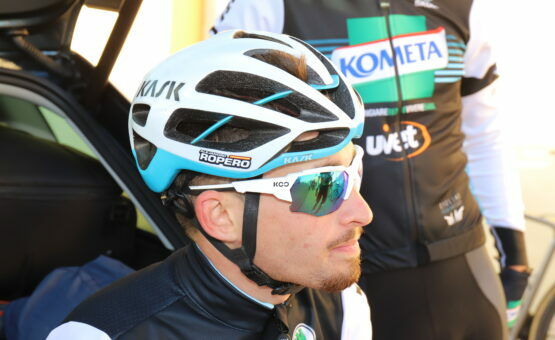 For Gobik, joining the Alberto Contador Foundation is like closing the circle: “The year 2019 has become Gobik’s gateway to the world of road racing. And we wanted to surround ourselves with structures of Spanish origin. We believe that our customers, our fans, want to see “their” brand also on the podiums of professional tests,” says Alberto García. 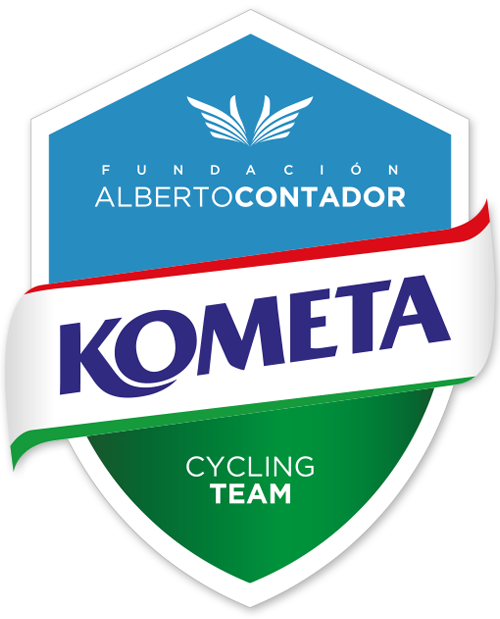 The Fundación Alberto Contador is a non-profit organization that aims to promote cycling and cycling in general, emphasizing its healthy and transport aspects, as well as its profusion among underprivileged groups. At the same time, it promotes the fight against stroke by raising awareness of its impact on society through knowledge of this ailment, its causes and ways of preventing it and helping its patients.